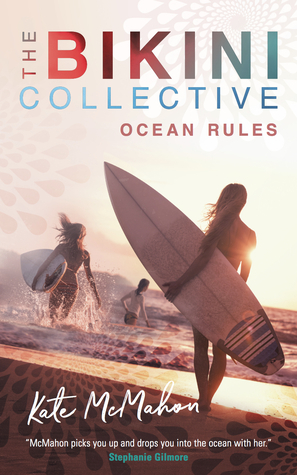 Ocean Rules (The Bikini Collective #1) by Kate McMahon. Published February 22nd 2018 by Kate McMahon. I received a copy in exchange for an honest review – Thank You. What does it take to be the best, and what does that even mean anyway? Fifteen-year-old Jaspa Ryder is on the crest of qualifying to join surfing’s prestigious World Junior Tour along with her best friends, Mel and Carolyn. But as the girls soon discover, the ride to stardom doesn’t come easy. Jaspa’s head and heart are in battle – she isn’t sure she wants to be a professional surfer, which, given her incredible talent, infuriates everyone, especially her envious brother. Who will qualify for the tour? Will Jaspa’s friendships survive the pressure of competition? Sometimes in life, you just have to jump to your feet, take off, and hope you don’t wipe out. “Inspiring. Blue Crush for a new generation. My 13-year-old daughter read it in a day… and then went surfing.” – Sean Doherty, journalist/author. “A book that gets to the heart of surfing friendships and competition. 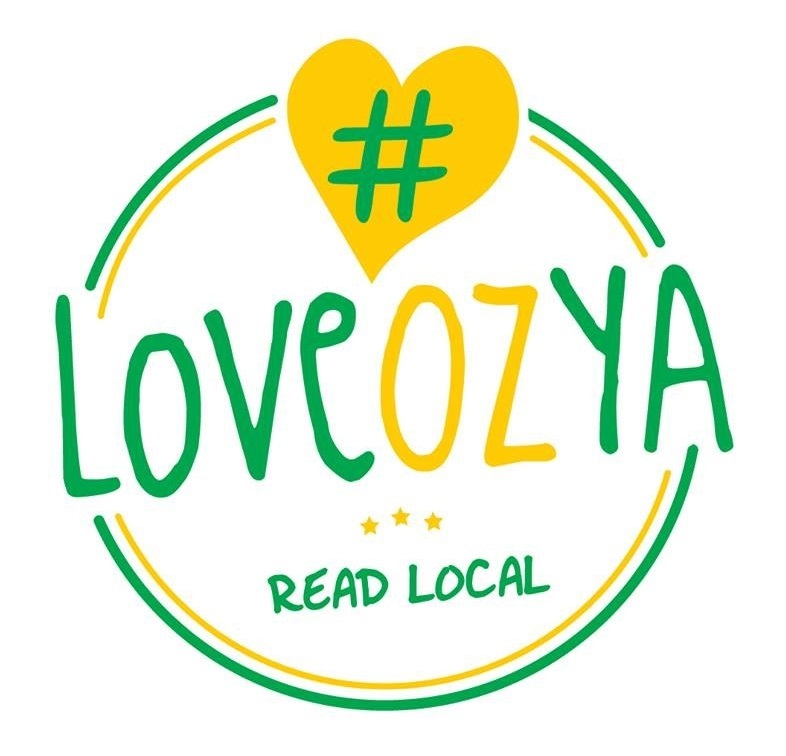 A must-read for all young ocean lovers.” – Layne Beachley, seven-time world champion surfer. “I felt utterly invested in Jaspa, Mel and Carolyn’s surfing journey; can we be friends?” – Stephanie Gilmore, six-time world champion surfer. My Thoughts: While this was a cute and quick read for adult me, I think there are some beautiful messages in there for the teens. The story touches on; the Stress of competition and meeting expectations, the complexity of friends competing against each other, the power of social media (both negative and positive), sibling rivalry and dealing with disappointment. There is a dash of boy drama in there, but just a dash. The message of the importance of girls supporting and empowering each other, of standing up for themselves together, shines through. There is a Surf Speak Glossary at the back. I didn’t find it necessary while reading. The writing was easy and pleasant to read, and the story flowed well. I never felt like the surf speak was unobvious, but I enjoyed reading through the glossary at the end anyways. The reference to Gosford skirts made me laugh out loud. And seeing Newcastle being called Newy made me smile. It’s such a quintessential Novocastrian thing to call it that. Wanna catch the train into Newy, go to the beach and have a perv – yep, words from my teenagerhood *hangs head in shame* In my defence I was happy to prev on either the guys or girl surfers. In all honesty I was super jealous. I’ve always lacked any kind of coordination and they always made it look so effortless and cool gliding through the waves. Ah damn, in all honesty, I was in a Gosford skirt, bahahaha good times. Oops sorry got lost down memory lane there for a moment *blinks repeatedly while slightly shaking head*. -Gosford skirt description at the end, in case you were wondering. And of course, the power, the danger, the beauty, and sheer awesomeness of the ocean. You can tell McMahon’s a surfer. The way she described riding the waves made you feel like you were out there with Jaspa, Mel and Carolyn. The ending is rather cheeky, it leaves the reader guessing and in my own experience, looking forward to the second book of the series. “The Bikini Collective – a girl’s-eye view of surfing”. Fantastic YA debut McMahon!! Kate McMahon has spent the past twenty-years surfing waves all over the world. In 2001 she landed her dream-job and got started on her professional writing career with SurfGIRL magazine. From there she was mentored by several prominent publications, and began working for women’s magazines, and editing teen and tween titles. Since 2006, she’s been at the ABC as editor of magazines, including: the triple j Annual, Mr. Men, Dance Academy, Giggle and Hoot, Octonauts, and many more. She currently lives just one hundred steps from the sand at Narrabeen on Sydney’s Northern Beaches. Ocean Rules is her first book, and she’s currently working on other books in the series. Sarah SAYS: Gosford Skirt = A super short skirt. Urban Dictionary SAYS: Gosford skirt = Used to describe a very short skirt. Slang from NSW, Australia. Mainly used in Sydney? Gosford is a regional city/town in NSW that is just south of a town called “The Entrance”. Therefore, a Gosford skirt is one which is “close to The Entrance”.